Real Heroes: Firefighter is an action adventure simulation strategy video game developed by Scientifically Proven Entertainment, LLC. , Flying Tiger Entertainment,Inc. and published by Flying Tiger Entertainment,Inc. , Open-2. The game was released via Steam on 15 March, 2017 for Microsoft Windows. Want to be just like a real firefighter, putting out fires and saving people? In this first-person fire & rescue action game, players take on the heroic role of a real firefighter. As a newly graduated cadet starting out at a big city fire station in Los Angeles, the “powder keg” of the world, learn the tools of the trade and battle massive fires and rescue survivors. So, put on a fresh pair of turnout pants and grab your Halligan. Live the life of one of the world’s last true heroes – a real firefighter! – Play through career mode with over 9 levels and locations. – Fight through the fires using real tools; Hose, Axe, Mechanical Separator, Extinguisher, Halligan, Deck Gun, and more. – All-Star Hollywood voice cast including James Marsters (Buffy), Jack McGee (Rescue Me), Michael Jace (The Shield), Jamie Kennedy (Ghost Whisperer), and Jenette Goldstein (Aliens). Operate the tools of the trade with over many hours of gameplay and beautiful cinematic scenes . Aim jets of water, swing axes and pry open doors. Adding to the already intense drama is an impressive cast of voice actors. Become that rarest of commodities – a real hero! 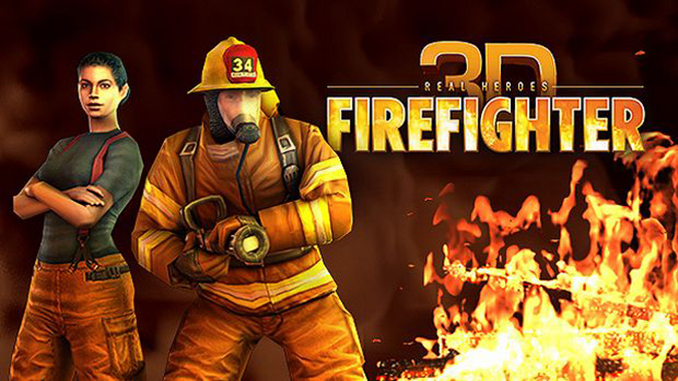 Save people and animals from fiery danger and become a true hero – a real firefighter! NOTE: We decided to label this \”Remastered\”, as the original release from 2012 didn\’t work on x64 and especially under Windows 8 and 10. It does now with the re-release on Steam!